Eugène Atget was a French photographer who in the late nineteenth and early twentieth century carefully and comprehensively documented the street scenes, architecture and artists of Paris. Atget, whose work was characterized by long exposure, famously sold his photographs to a great number of Parisian artists, including Man Ray, which were used as visual aids for painting. 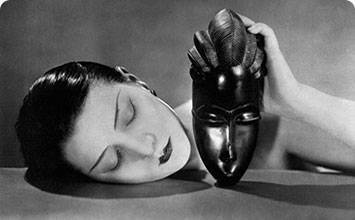 Dora Maar was best known for her Surrealist photographic works. Maar also famous for being one of Picasso's great loves. Lee Miller was an American photographer and former fashion model who lived abroad in Paris and collaborated with Man Ray and other Surrealists. During World War II, she became well known as a war-time correspondent, covering the London blitz, the liberation of Paris, and freeing of the concentration camps of Buchenwald and Dachau. André Kertész was a legendary Hungarian-born photographer best known for his lyrical, elegant and formally rigorous style. Hannah Hoch was a German-born Dada artist. She and Raoul Hausmann were among the first artists to work in photomontage. Hoch is most famous for her works dating from the Weimar years, most notably 1919's 'Cut with the Dada Kitchen Knife through the Last Weimar Beer-Belly Cultural Epoch in Germany,' which critiqued Weimar Germany. First published on 05 Nov 2017. Updated and modified regularly.